Major retailer Best Buy is running a sale on some the most popular Apple products in its portfolio, so if you were hunting for deals on smartphones, tablets or headphones, you should definitely check it out. First off, customers who go for the iPhone 7 or iPhone 7 Plus will be able to save up to $200 with qualified activation. You can choose from either of the three major carriers that have discounted their iPhone 7 and 7 Plus models: AT&T, Sprint, and Verizon. Then, there's a bunch of prepaid iPhone models that go for as low as $160. You can even save up to $150 on the iPhone 6s 32GB with qualified activation. Furthermore, the 9.7-inch iPad (not the iPad Pro) is just $80 off and you can choose from either the 32GB Wi-Fi model or the 128GB variant. The Apple TV costs only $159, exactly $40 off the MSRP. Finally, the BeatsX headphones are on sale for just $85, although they usually sell for $150 at Best Buy. Still, you can find these headphones much cheaper most of the time, so the discount isn't really $65. Also, the Powerbeats3 are now available at Best Buy for only $105, which makes them almost half cheaper than the usual price. 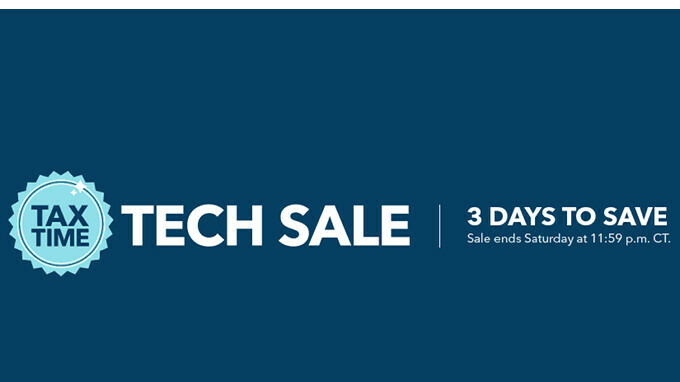 According to Best Buy, the 3-day tech sale that debuted recently will end on Saturday at 11:59 pm CT, so there's still plenty of time to do your shopping.